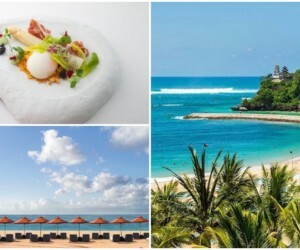 A gastropub, gourmet bistro, cute neighbourhood cafe and locally-sourced cuisine – this month’s lineup of hot new restaurants covers every culinary category under the Bali sun. 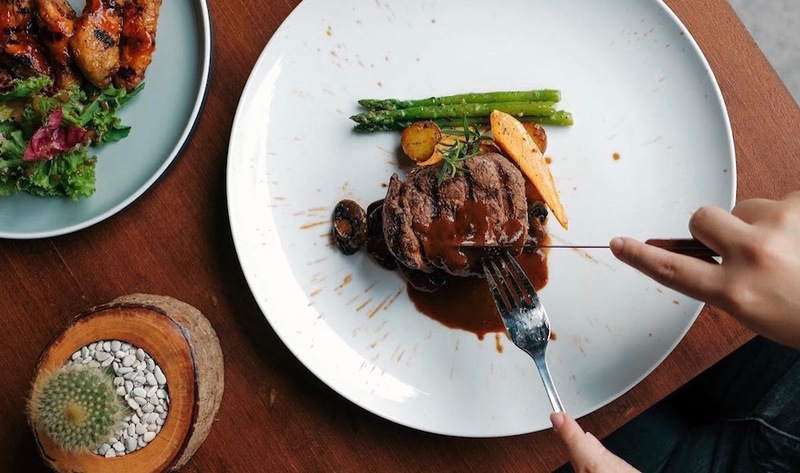 Brought to us by the island’s wine experts, BOTANICA is the brand new flagship restaurant from the VIN+ team, tucked away behind the bustling Seminyak streets. Just as its name suggests, this tropical spot is blooming in botanicals – a rainforest-like oasis with a bright and breezy courtyard, bar and dining room. 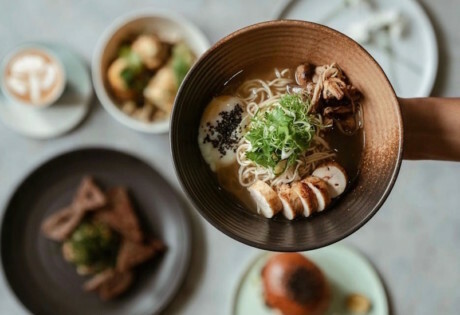 The modern Australian menu here is the work of award-winning Executive Chef Brenton Banner, marrying the best ethically-sourced Balinese and Indonesian ingredients with Australian staples. 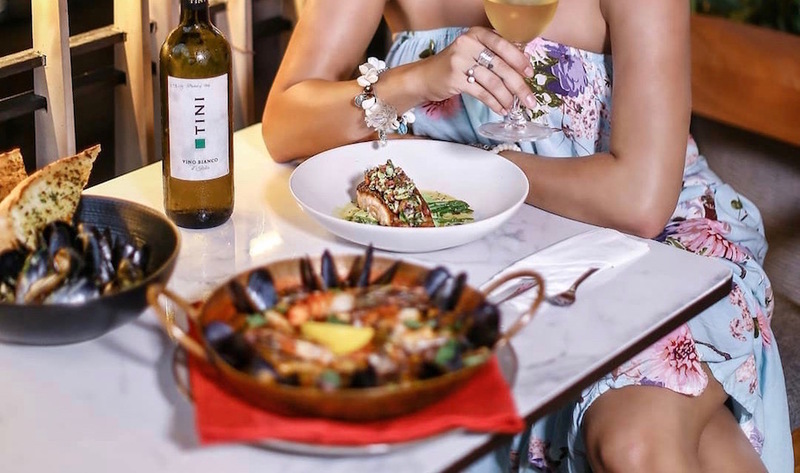 Think fresh local oysters, prawn toast and snapper ceviche to start, and chicken gnocchi, swordfish fillets and slow-cooked lamb shoulder for mains – perfect with a full bodied Merlot from the curated VIN+ wine cellars. It’s the perfect spot to take a break from Seminyak’s boutiques, hopping beach clubs and luxe spas, with cosy nooks tucked beneath swaying palms…. heaven! BOTANICA, Jl Kayu Jati No 1, Seminyak, p. +62 361 4732377, e. bali@vinplus.biz. Open daily 10am – 11.30pm. This super cute neighbourhood cafe comes with epic views for sipping on your morning matcha latte. 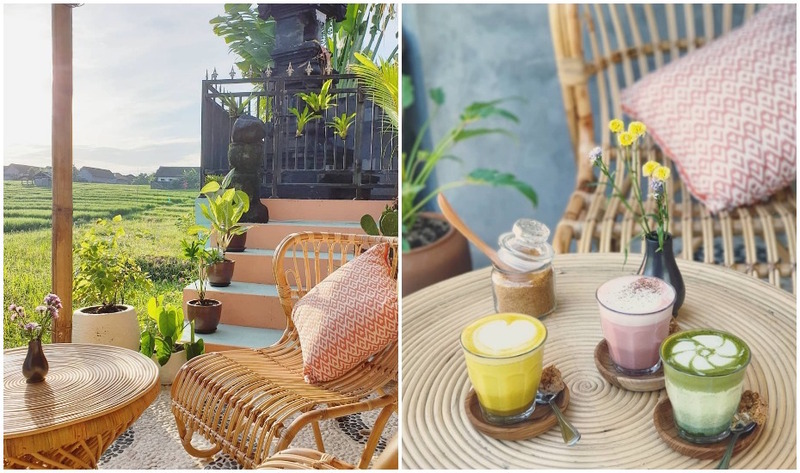 Facing out over Canggu’s rice fields with uninterrupted views of the emerald horizon, this teeny tiny cafe nook is as pretty as a picture – and the food is just as lovely. Graze on tropical bowls and chia seed puddings, and brighten up your day with a kaleidoscope of colourful lattes. There’s smashed avo, croissants, pancakes and eggs aplenty, all wrapped up in a cosy little space, topped off by those views. Rollies Canggu, Jl Padang Linjong, Canggu. Open daily 7am – 4pm. 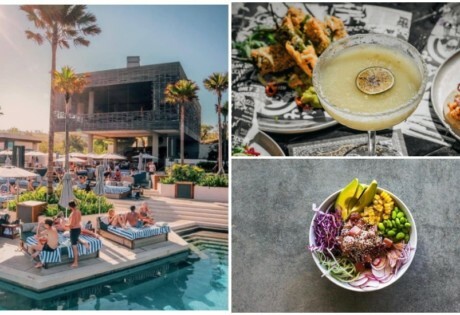 A brand new hidden gem within Seminyak’s stunning Blue Karma Oasis resort, Blue Matcha Kitchen & Art Dining dishes up exactly that: a matcha-inspired menu with culinary art and impeccable presentation as the focus. The concept has been inspired by Asia and beyond, where east meets west across five signature set courses. 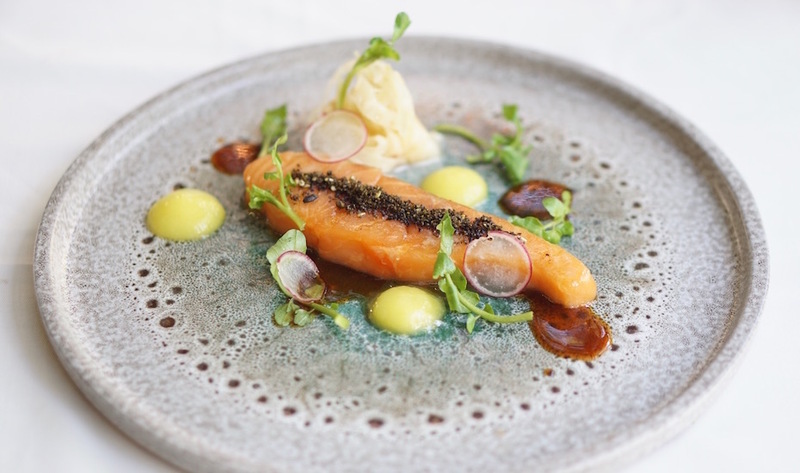 Expect scrummy creations like the 45 Degree Salmon, the Tender Flaming Wagyu that’s quite literally on fire, and an oh-so creamy chocolate terrine to finish. Blue Matcha Kitchen & Art Dining, Jl Raya Seminyak, Gang Bima No.2, Seminyak, p. +62 361 737 898, Open daily 7.30am – 11pm. 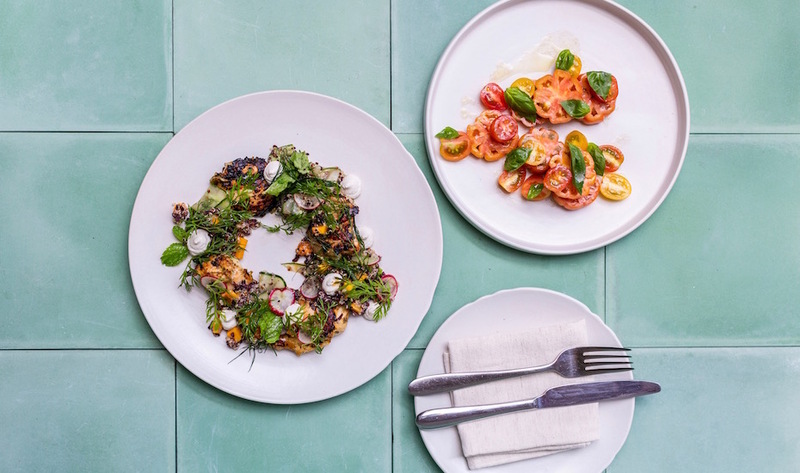 From the same people who gave us Sage in Ubud, Bella brings all of the same clean, vegan eats that we’ve come to love from the Sage original, yet this time the menu has taken an Italian turn. Expect pizza, pasta and everything Italian in between, made from fresh produce sourced from the Sage farm. All of the sauces, toppings, batters, breads and more have been made from scratch, and all of the pastas, cakes and donuts are gluten-free! Our faves? 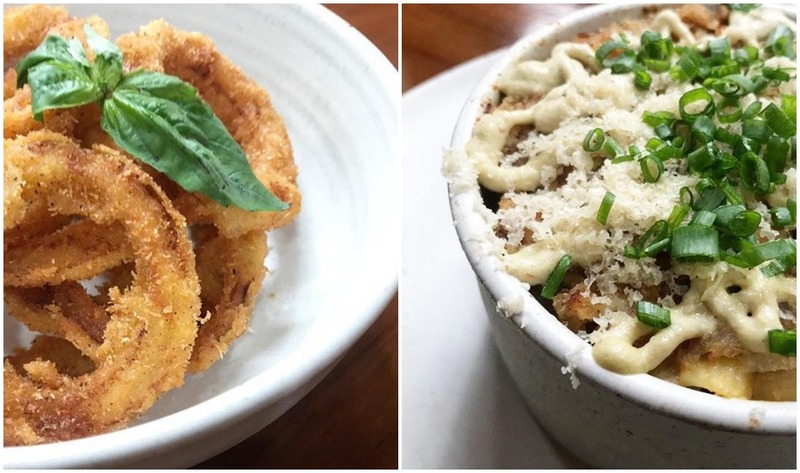 Try the coconut flour-crusted onion rings and the creamy Mac & Cheese – you’ll hardly believe these are vegan! Bella by Sage, Jl Penestanan Kelod, Ubud. Soft opened for lunch only. 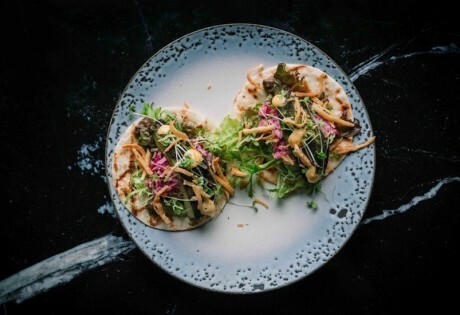 Sleek interiors, level-up cuisine and the only infinity pool on the island – The Sasak Bistro & Bar is taking Gili Trawangan’s dining scene up a notch. 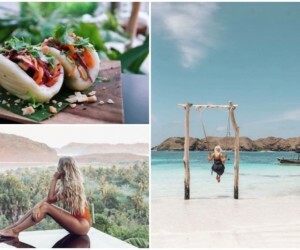 Breaking away from the typical warungs and casual beach shack vibes, The Sasak brings a menu of refined international and local plates to the beachfront, wrapped up in contemporary architecture and subtle nods to Lombok’s Sasak culture. 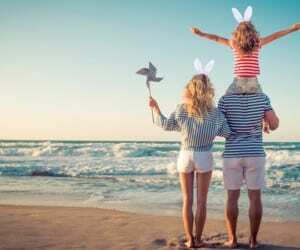 By day, come here for the full and hearty breakfasts and bistro-style grilled chicken sandwiches, and by night, you’ll find amazing cocktails, ocean-fresh seafood and the best collection of wines around, wrapped up in a warm and stylish ambiance. 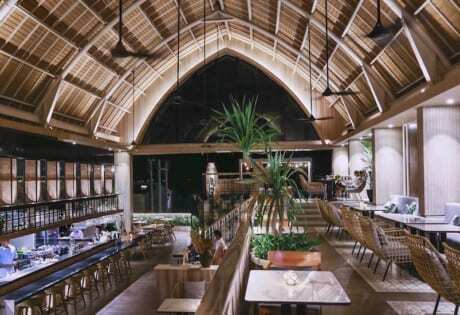 The Sasak Bistro & Bar, Gili Trawangan, Lombok, p. +62 370 6198555. Open daily. 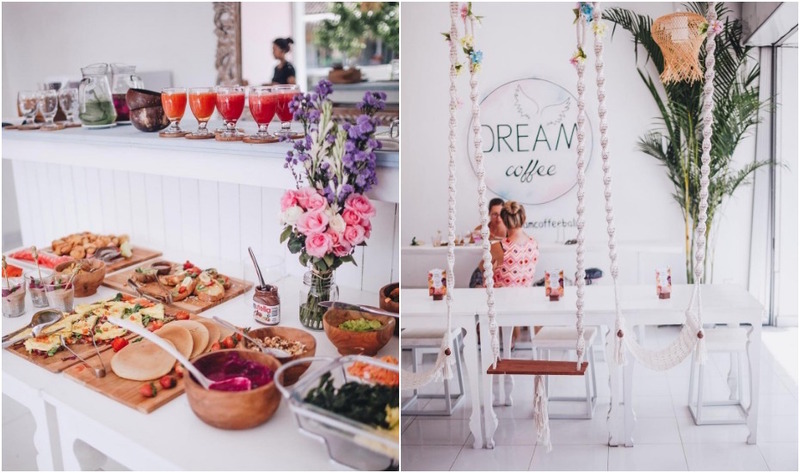 A daily buffet breakfast of fresh tropical fruits, smoothies, pancakes and eggs, laid out alongside juices and epic coffee that comes with cute little inspirational notes – this new Canggu cafe is seriously dreamy. Laced in bright all-white interiors with Instagrammable swings hanging from the ceiling, this small little space already has a big thumbs up from us. 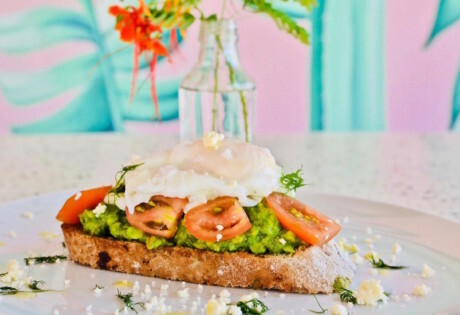 Come for the brekkie buffet (every day from 8-10am), stay for the daytime a la carte options, and come back for those dream coffees and delish dinners. Dream Coffee, Jl Nelayan, Canggu. Open daily from 7:30am – 8pm. 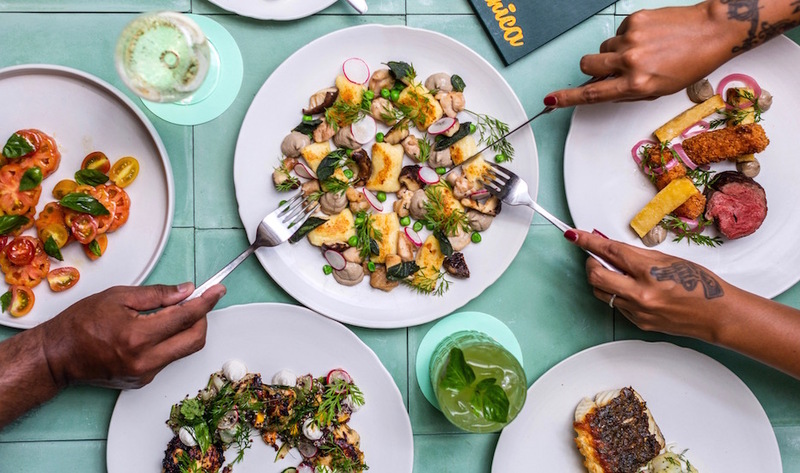 Berawa is packed to the brim with Australian-style cafes and European cuisine, but one thing this hip little ‘hood has been missing is a good ol’ American gastropub. You won’t find any alfalfa sprouts here, nor any turmeric lattes or spirulina infusions. Instead, Avenue A is all about no-frills good food – a modern nostalgic menu that’s designed to curb your naughtier cravings. 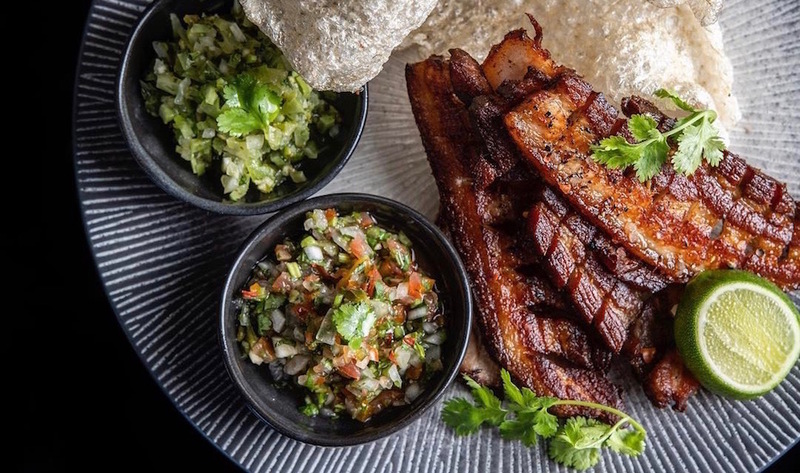 Think crispy house-cured pork belly, Wagyu beef sliders and lemongrass spiced calamari – dished up alongside craft cocktails, beers, and rock & roll vibes. Avenue A, Jl. Pemelisan Agung No. 8, Berawa – Canggu, p. +62 361 3003 438. Open Tues – Sun 5pm – midnight. 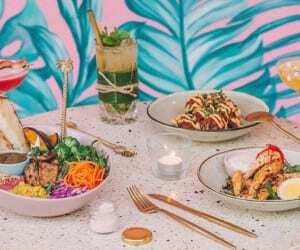 Asian fusion food with a casual and homely vibe, Backyard Seminyak is the kind of place you can kick back in the garden with cold beers and friends, round up the family for a shared feast, or bring bae for date night with plenty of cocktails, wine and good vibes. Start with the Trio of Crostinis to share (loaded with tomato, avocado and zucchini) then move onto the signature Fillet Mignon with mushroom and cheese, served with Bordelaise sauce and herb-roasted baby potatoes. Want something lighter? Try the Asian-style Prawn & Pomelo salad with a tamarillo dressing. YUM. Backyard Seminyak, Jl Camplung Tanduk 15X, Seminyak, p. +62 898 3180 000, e. backyardseminyak@gmail.com. Coming soon.